One of the great things about the DOC is that while we all have an individual story to tell and unique challenges to face, we can tackle things together. We can offer each other supportive words and actions; we relate to each others' struggles; we celebrate each others' successes. At least, that's how it usually goes. However, sometimes all of that supporting and relating can become... overwhelming. Sometimes the sum of other people's diabetes issues weigh on you like an 800 lb. elephant. And sometimes it becomes difficult to celebrate what others have accomplished when you, yourself, are failing to reach your own goals. I'm a pretty positive and upbeat person overall. I tend to have enough joy in life that there's plenty to share with others who need it. But, for whatever reason, that wasn't the case for me yesterday. That's why I didn't post anything here. (My five-month streak of 'posting something every Monday through Friday' ended, and I'm okay with that. Everyone needs a breather.) I felt like I was wading in an ocean of my friends' and my own issues, and the air in my inflatable raft was quickly leaking. Let me say, also: it's not you. It's so not you. It's me. Posts about food issues reminded me of my own food issues. (Diabetes in general messes with the way you view food - as do years of "that doesn't fit into your exchange diet" - then add in my own body insecurities, and BAM.) Posts about exercise had me thinking about my own struggles with motivation and consistency. While I am so proud of the accomplishments of others, what I read reminded me of just how far I am from where I want to be. So far, in fact, that the khasm between here and there seems too big to even start trying most of the time. This also got me thinking about that half-marathon I'm supposed to be doing a month from now - and how I haven't trained for it. At all. Seriously. Yikes. Those things, and some others, began to pile upon themselves in my mind. I'm not sure why I got so down - there wasn't anything really big and bad that happened. There was no real trigger, except that maybe all of the things I had pushed to the back of my mind were now sprinting towards the front. And they were bringing some new friends. I stayed off of social media for the rest of the day (for the most part). I popped in my earbuds at work, and frankly, wallowed a bit in some appropriate music. What helped to turn that ship (inflatable raft?) around for me was getting home and talking to Aaron. Even though he, too, didn't have a stellar day, he's a pro at cheering me up. He gave me one of those lift-you-off-the-ground hugs that I love, and we talked it out. We both have some changes we'd like to make to how we spend our time, and we agreed on how to work towards those things. By the end of our conversation, he had me chuckling. "See", I said, "this is why we make a good team. You're really good at making me laugh." "Yep, we do. And I'm lucky that you think my bad jokes are funny." "TEAMWORK! ", I shouted, and went for a high five. A high five that Aaron purposely missed (his hand went wide right), in another attempt to make me giggle. Awww, Kim! I totally get what you're saying. 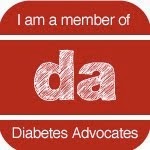 I have been a little overwhelmed with all things diabetes lately, and that included the social media part of it. As much as I love you guys, my friendship with you is still a reminder of this disease we share. I need a break sometimes, too, to just be the me I was pre-D: playing softball, being a weather nerd, etc. I don't think we should lose our identity in this disease. We're still unique individuals, which is why I'm so grateful for NoDDay! Maybe we should have one once a month? ((hugs)) We love you, Kim! It's nice to have a supportive significant other! You guys sound like a great team. I think it's totally okay to take a time-out (social media can be overwhelming at times), do a bit of wallowing, and just focus on you and what you need. It's OK to be less than perfect. I think we tend to post our successes more than our not-so-successful issues. I will admit to being a total couch-potato, and in need of motivation for exercise. 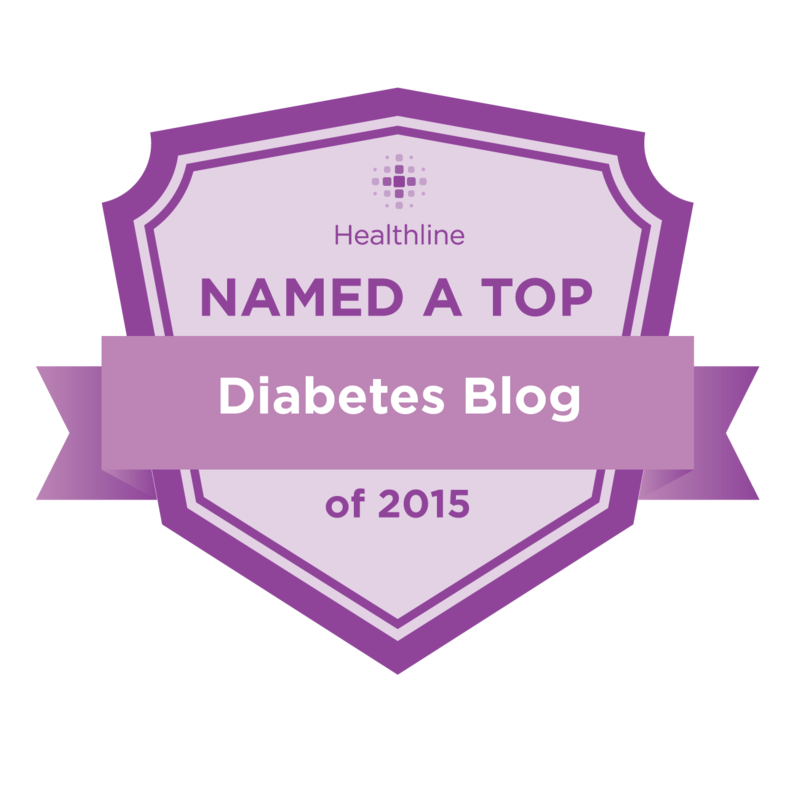 I'm proud of some of my ways of diabetes management, but not that one! And I really haven't figured out a way to overcome it. So welcome to the less-than-perfect club, and realize you just need to do what you have to in order to take care of yourself emotionally as well as physically. Sometimes it's entirely possible, and reasonable, to get "D-goal'd out." Good grief--we have so many goals we're *supposed* to be working toward that it's amazing any of us ever get anything else done! Not only are we not perfect, but it's NORMAL to not be perfect: We're human. You're human. Take it easy on yourself, and take whatever breathers and breaks you need! And, know that there are many of us in the same boat, paddling in the pond of food and exercise and just trying to care for ourselves as best we can. ;) I'm trying really hard lately to exercise, I hate it so very much, but I want to set a better example for Ms. Diva. Same w/ the food issues I've been carrying around for 30+ years now...they're heavy, and don't do anyone any good, but it's not easy to put them down. Listening to some good music, and sharing w/ those awesome loved ones, is a great way to take care of you. Be gentle with yourself. Breathe. All i can say is Thank you, so so much for posting this. Having just discovered the DOC recently I have been very inspired by the way everyone seems to do sooo good with their diabetes management, but most of all I felt inadequate about mine. Thanks for making me see I am not the only one! I get this. It's easy to get caught up everyone else's life and their needs. We care.. That's good. But sometimes a breather is the best medicine! I'm glad you have such sweet hubby!! He's a gem! And I'm glad you're feeling better! hi friend. as you know, i can sympathize. yikes. i have a love/hate relationship with food and exercise. sigh. and yay for aaron! j helps me thru hard times too. just do the next thing, friend. hugs!! !